Every day, whether you are tending to your child’s wound, taking care of a worrisome symptom, or dealing with a minor injury, you are practicing first aid. First aid is a helpful technique that could help save a life. If you encounter a situation and don’t know how to administer the first aid, the best thing you can do is to call Medical Transportation Services immediately, especially if the condition requires immediate acute hospital care. 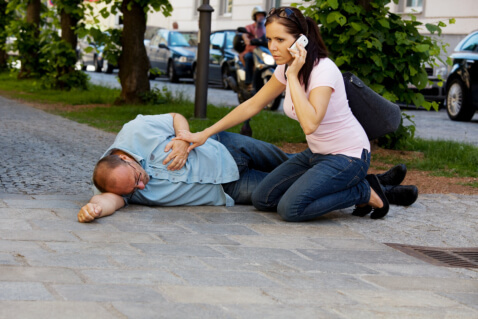 At Force EMS, we aim to give you a basic understanding of the 3 C’s in first aid so that when you encounter any medical situation, you will know how to take action without panicking. The 3 C’s in first aid will delineate how you should act when facing a medical situation. The first C refers to “check”. Initially, you need to examine the airway, breathing, circulation, as well as the scene, a person’s consciousness, and other hazardous items in the surroundings. Second, “call” for assistance. You may call Non-emergency Transportation in Texas in order to help you assess the situation and bring the victim to the hospital in a fast and safe manner. Be sure to provide the correct information about the location and the patient’s situation. Lastly, “care” for the victim until the responders arrive. It is your responsibility to give preliminary care. If the victim is conscious, you have to obtain the consent of the victim before giving care. Whenever an emergency or medical situation happens, you need to make sure the patient gets immediate medical attention. A Medical Transportation in Longview, Texas can help you with that. We can attend to your call promptly and drive the patient fast and safe. Whether you are at home, work, or vacation, the 3C’s are your guide so you won’t fright when you are in the situation. Remember, health situations or emergencies could happen to a senior loved one, family member, a close friend, or any people in the public. When you know how to take action, you can save a life. This entry was posted in First Aid and tagged hospital care, Medical Transportation, preliminary care. Bookmark the permalink.